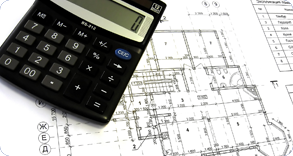 Accurate Estimating | Remodel your dream house for less than you dreamed possible! Remodel your dream house for less than you dreamed possible! You are simply more efficient with your house building dollars when you know all your options, zoning and building code restrictions before selecting a general contractor. Before you give up on a dream feature or settle for less square footage in your home, find out exactly what the costs to you would be! Your Accurate Estimating consultant will show you itemized bids from licensed general contractors for each item in your home remodeling project. 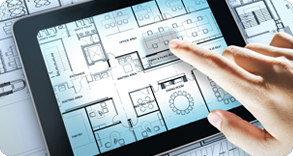 We provide you with detailed blueprints all phases of your construction project. We have CAD2000 and chief architect and the computer generated design means quick response time to changes or city red line. We use computer generated 3D views and models, so you get to see your project from all directions before you make any commitment. We provide you with detailed cost estimates from licensed general contractors for all phases of your home construction project. 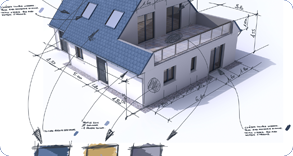 We provide you with detailed blueprints all phases of your construction project.